On a recent Called to Coach, we spoke with guest Fiona Glendinning. Fiona Glendinning is the Chief Experience Officer at MinterEllison, an international law firm headquartered in Australia. Fiona designed and implemented an employee program called Empower within MinterEllison that uses strengths to help employees deliver a better client experience and to generate organizational cultural change. How do you know what the baseline is to kick off a program like this? Fiona - We did a lot of really robust client listening. Develop that talent internally to be able to continue the feedback system. It is not a one size fits all. Empower creates a framework to have a discussion at an individual level around skills, goals, and therefore define what the “best” looks like. Encourage employees to go out to engage with clients so that they aren’t making assumptions about the needs of the clients. We’ve been really excited to see how we look at doing work differently. What insights have you gained about yourself? To our clients - We’re presenting our services through diversity so that it’s not a one solution to a problem, but lots of different approach. How do we use Strengths more actively across the team? What do you think is the real key to translating great ideas into results? Can’t be divorced from what is being done in the business day-to-day. Fiona Glendinning is the Chief Experience Officer at MinterEllison, an international law firm headquartered in Australia. MinterEllison is regarded as one of Asia/Pacific's premier law firms. 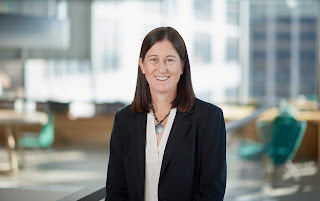 Prior to joining MenterEllison, Fiona held many global leadership roles for companies such as PwC, Westpac Banking Corporation and Sun Microsystems.